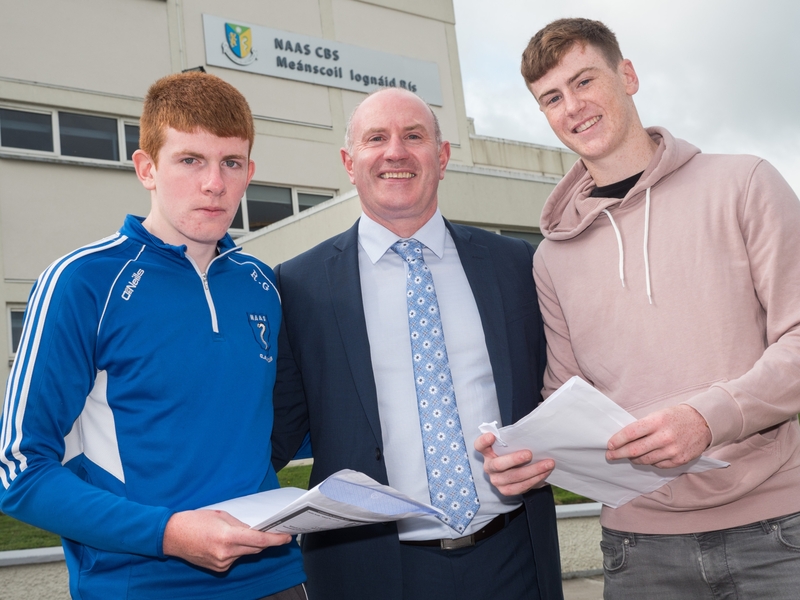 Two Naas students were among the very top performing Leaving Cert students around Ireland, as the results arrived at schools and on the internet today. St. Mary’s College student Anna Fay got maximum points - 625 - having achieved seven H1 results. Down the road at Naas CBS Ruairi Goodfellow also shot the lights out. He also got the best possible results. He opened his results sheet to see he got six H1 grades. A H1 is the highest mark that can be awarded on a higher level Leaving Cert exam paper.